If the news that a Rizzoli and Isles book is about to hit the shelves gets your heart racing, go grab the smelling salts. In LAST TO DIE, Tess Gerritsen’s latest addition to her celebrated crime series, Detective Jane Rizzoli and Medical Examiner Maura Isles must find out what links the fates of three children who live in different cities but have something very sad and sinister in common: they are the sole survivors of family massacres — and the killer has come looking for them again. This kind of plot premise is why 25 million copies of Gerritsen’s books — which PUBLISHER’S WEEKLY describes as “pulse-pounding” — have been sold around the world, and translated into 37 languages. Then again, maybe the fact that she plays a mean fiddle is the real reason for her success. How did the plot concept for LAST TO DIE come to you? During my first career as a doctor, I worked in a rehab hospital where we treated a number of head-injured patients. Many of them had disrupted sleep-wake cycles and were dangerously impulsive. Based on my experiences with those patients, I created the character of a reckless young girl who wanders the darkness, unable to sleep at night, after she survives a gunshot wound to her head. In LAST TO DIE, that girl is thirteen-year-old Claire Ward, who was the only survivor when her family was attacked. 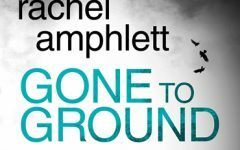 Now it’s two years later, she’s living with a foster family, and when that family is murdered, Claire is once again the only survivor. It’s the character of Claire that inspired this story, which is about three orphans from different families who have all survived massacres, and who are now once again in danger. Many of your plots are “stranger than fiction”; that is, they could be snatched straight from media headlines (organ harvesting, abortions/births for tissue/cell donation). Do you find yourself going through a “what if…” epiphany while reading something in the newspaper, or a medical trade journal? What is your process for researching the merit of a possible plot catalyst? No matter where I am, I’m always searching for the premise that gives me an emotional punch in the gut, the story idea that gives me a chill. It may come from a conversation, from reading a newspaper or a tabloid magazine, or from just staring out the window. For that reason, I read a broad array of material, and always, always pay attention to my internal reactions to what I see or read or hear. Story ideas are everywhere, but it’s the powerfully emotional ones that I seek. Now that you’re deep into the Rizzoli & Isles novel series, what do you enjoy most about your characters’ interaction with each other? I love the fact they feel like real people to me. Both Jane and Maura came to me organically. I never did character bios; they just appeared on the page and I gradually became acquainted with them through the course of the series. They didn’t start off being friends, either; that relationship developed naturally, as it does in real life, between colleagues who have nothing in common, but who learn to trust each other. With every book in the series, I discover new things about them. What do you feel has been the most pivotal changes in your character’s lives? How does this latest installment address this? For Maura, a pivotal change has been the breakup of her years-long affair with Father Daniel Brophy, and the almost maternal relationship she now has with 16-year-old Julian Perkins, the boy who saved her life in ICE COLD. It’s the deepest link she now has with another human being, and she’s struggling in this new role. What is your novel writing process? Very much seat of the pants. For LAST TO DIE, I had this initial premise: three survivors of family massacres are attacked again, two years later. But I didn’t know who was behind the crimes, or why. All I knew was that the scope was international, and that the children’s own investigative efforts would be integral to solving the mystery. I start writing and see where the story takes me, counting on my storytelling instincts to tell me when it’s time to ratchet up the tension, when it’s time to throw in another twist. Somewhere along the way, I manage to answer the fundamental question of who’s committing the crimes, and why. But it’s a chaotic, frustrating way to approach writing, and it means I often write myself into blind alleys. It also means extensive re-writes, since the story often changes so much during the first draft. Congratulations on RIZZOLI & ILSES’ 4th season pick-up, on the TNT network! Which brings up the question: which do you find easier: writing a novel, or writing for TV? I’ve only written one made-for-TV movie (ADRIFT) and I found the experience fun but ultimately frustrating, because you’re not really in control. I have no input into RIZZOLI & ISLES, which has its own team of writers. They’ve been kind enough to invite me to join them in the Paramount writers’ room, but I’ve never taken them up on the offer! Your two wonderful lady sleuths are so true to life that personally I’m hoping they live long and prosper. That said, how far ahead have you worked out their novelist story arc? What is your process for ensuring that they grow emotionally, and stay fresh for your readers? I’m only as far along in the story arc as my readers are. I don’t know what’s next for Jane and Maura until I write the book. I’ve never planned out my career — or my series — ahead of time. But it’s very important to me that these characters aren’t static. These are living, breathing women who have their ups and downs, who fall in and out of love, and also fall in and out of friendship. They learn, they change. And hopefully they grow. I loved your historical thriller, THE BONE GARDEN. Time permitting, would you tackle another? I’d love to, but have no plans right now. I’m developing the next Rizzoli & Isles novel, a story inspired by something that happened to me last year in Africa. And that’s all I can tell you about it! Do you still have time to play the fiddle? Oh yes! Music is very important to me, and I host jam sessions in my house every month. 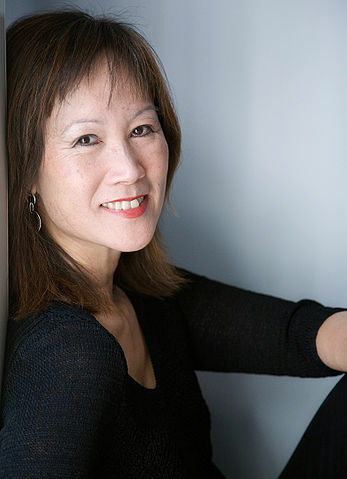 Tess Gerritsen is the internationally bestselling author of 24 novels, including the “Rizzoli and Isles” crime series. Her books have been translated into 37 languages and 25 million copies have been sold around the world.